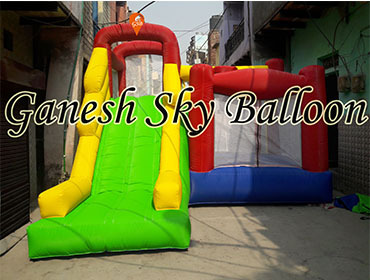 Provided by us is a best-in-class range of Advertising Inflatable Balloons to the esteemed customers. 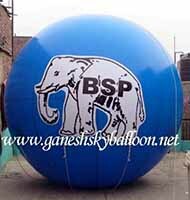 These balloons are designed and made as per clients' preferences that help us in attaining their maximum level of satisfaction. 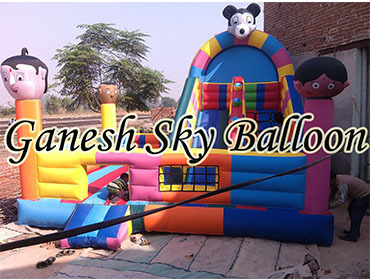 Moreover, we can customize the balloons as per the exact details provided by the clients. 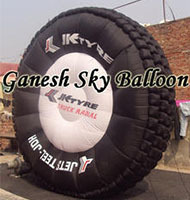 In our range, we offer Inflatable O2, Inflatable JK Tyre, Inflatable Good Night, Lotus Stand Inflatable. 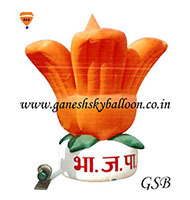 Available with us is an impeccable gamut of Lotus Stand Inflatable Balloon. 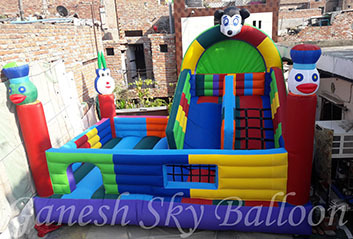 Developed using supreme quality required basic material, these offered products are highly appreciated for their remarkable attributes such as durability and resistance against temper & puncture. 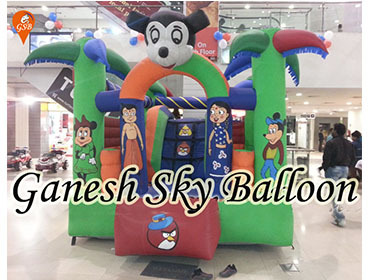 Established in the year 1997, we, “Ganesh Sky Balloon”, are one of the renowned manufacturers and suppliers of a supreme quality range of Inflatable Characters Products. 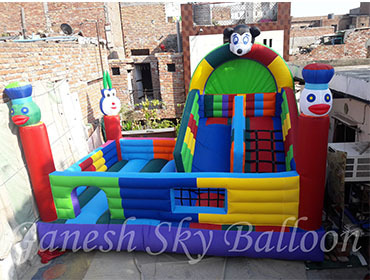 We are manufacturer and exporter of advertising balloon, sky balloon, inflatable bouncy, walking inflatable, costume inflatables etc.